In 2015, during the Grexit debate, the Drachmae Project was exploring various use cases over the blockchain. This year, after aneducational Proof of Concept, the project is moving forward to use blockchain technology to disrupt the travel sector. Last year a multi-currency wallet called Drachmae Money was constructed, and SMS and NFC interfaces were added and tested alongside card payments. The lessons learned highlighted some risks, for instance that it is highly possibly to do double spending using Bitcoin. According to the project leaders, testing on Agistri Island in Greece with a digital currency and blockchain derived credible data on which to build services that are centered on human behavior. Drachmae Project is now developing its commercial solution that targets travel. The solution will use more than the NXT blockchain used in the Agistri case study. It will also be using Ethereum and permission nodes, and has been dubbed DT Chain. tokenized and smart contract based memberships to a private travel club that will support multiple currencies and be tradeable. The DT Token total supply will be limited to 88,888,888 tokens, with 8,888,888 being released for the crowdsale. Drachmae has pledged the proceed to supporting the release of the “Travel App Game”, set to launch in June 2016 and Travel Club in September 2016. The most important development is the travel money service, which uses lockchain technology and will be connected to a branded prepaid card. The Viral Exchange (TVE), project-led by Killakem (founder of Fibre coin and also project leader of Blitz), has just been announced as a SuperNET official partner. TVE enables users to promote their websites and social media presence whilst earning NXT, Bitcoin and Blitz for their social interactions on all the major social networks. TVE is the first social exchange platform that allows users to cash out points to digital currencies. The Viral Exchange (TVE) is a next generation social exchange with the goal of monetising social network activity via the blockchain. TVE is a free social exchange network which helps businesses increase their social network presence and drive users to their websites. The exchange system is very simple: every time a user likes, follows, or views another member’s social media page they receive Viral Points which can then be used to get more followers, likes, views or visitors to their own website or social media pages. The Viral Exchange is the first social exchange platform that allows users to cash out points to digital currencies. Users can earn Bitcoin, NXT and Blitz with their Facebook, Twitter, Google+, YouTube plus many more. Version 2 of TVE is currently in beta testing and 100 Blitz is being offered for every new bug found (cosmetic bugs not included). To find out more, join the Bitalize channel on Slack. TVE is being redeveloped from scratch, the new platform will utilize an MVC Architecture providing an extensive API. 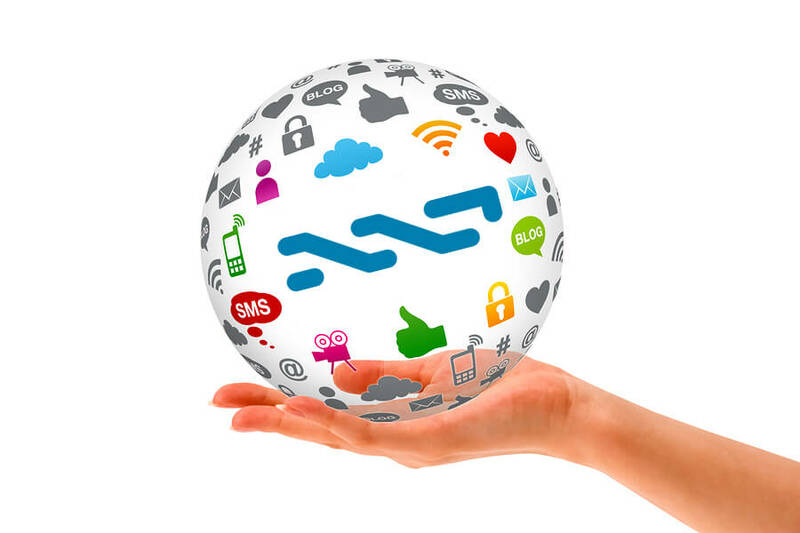 Moreover, the NXT Monetary system will be used as part of our Proof Of Reserve system, this will give users, marketers and asset holders complete visibility of the purchases and withdrawals on The Viral Exchange. Asset holders will not need to rely on the information we give them: all deposits and withdrawals will be publicly available on the blockchain. Working closely with NXtInspect, TVE has recently relaunched its Nxt Asset. ID: 10848741160900045194.